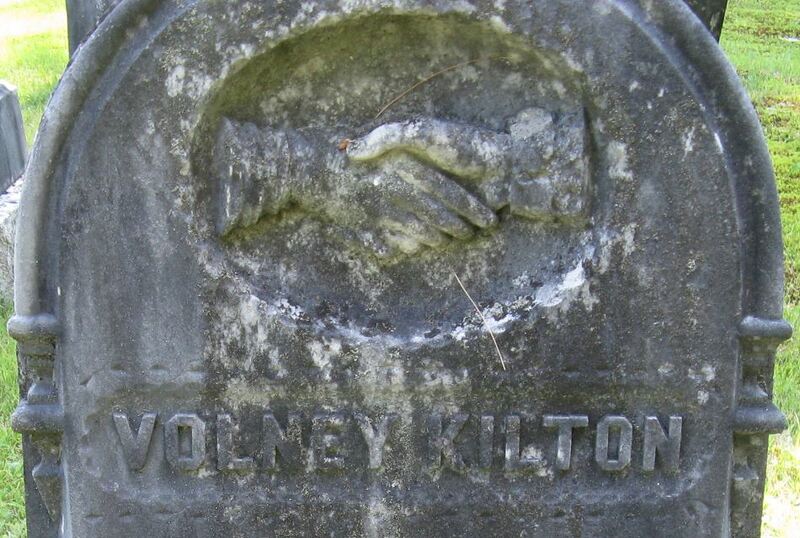 The year of death on an actual tombstone is reliable. Any person transcribing that tombstone is NOT. How could they have NOT transcribed two gravestones properly?? Not one, not two, but THREE wrong numbers found within these two entries. We’ve all seen errors in printed genealogies or family trees online. While it does keep us on our toes, it can get beyond annoying when the mainline research you’re building hinges on “facts” such as death dates and ages; exactly what you’re hoping to glean from these transcriptions. The highlighted wife and husband are in a direct line I’m researching. I included the others merely for comparison and to give you an idea of what information was included. 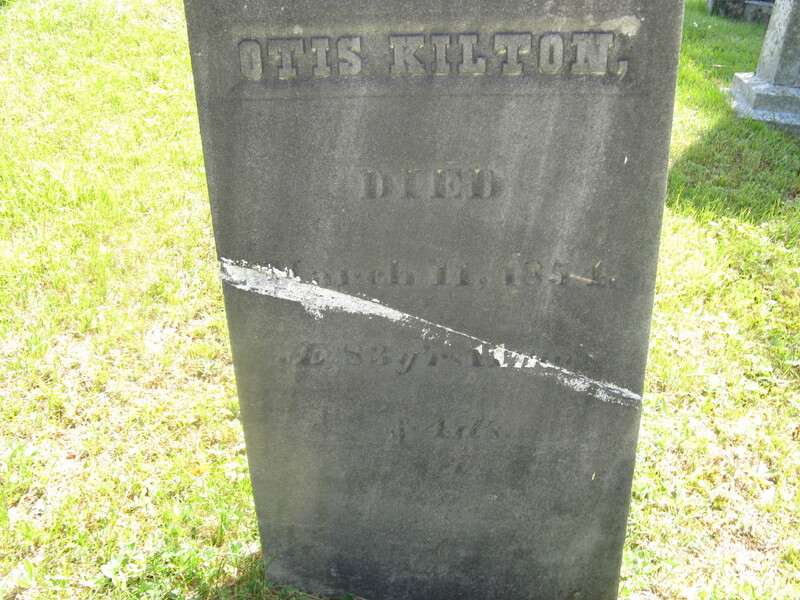 Now, I had already found Otis Kilton’s probate records online, and knew he died in 1854. 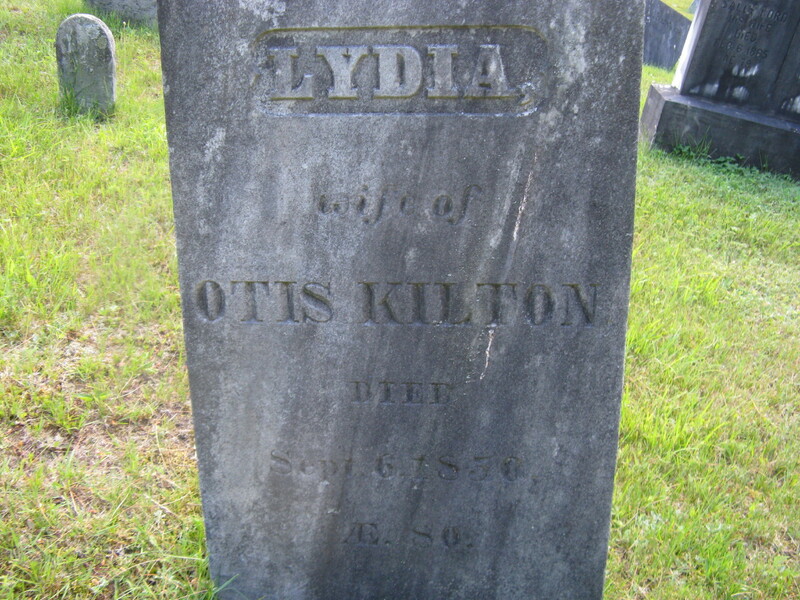 And according to everything else I had on Otis and Lydia, they were both born around 1770. Such as the 1850 Federal Census here. So, if the cemetery transcriptions are to be believed, Lydia was NOT 80 when she died. And Otis? He’ll be dead in less than 6 months, missing his 54th birthday by a few weeks. With these serious age discrepancies, I was beginning to doubt my own ability as a family researcher. Really!! And I had found nothing to even hint at there being another Otis and Lydia Kilton……exactly 30 years their junior……living in the same town. I’m no math wiz, but something wasn’t adding up. What’s a genealogist to do when confronted with such messed-up information? Easy – go to the SOURCE. Yes, The Online Genealogist takes an offline field trip! Grafton is less than 25 miles away and yesterday was a gorgeous day for a bike ride. 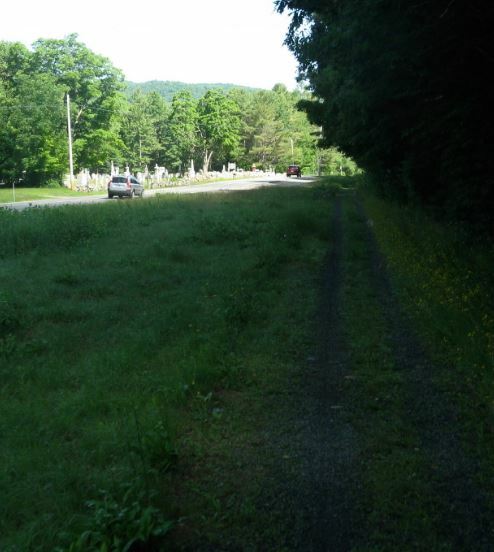 Hit the nearby Northern Rail Trail (ex-Northern RR) which goes across the road from the cemetery. Couldn’t be handier! It’s right up here on the left. See it?? Sorry, getting sidetracked. Or train-tracked. Otis Kilton!! Such a sad-looking stone. 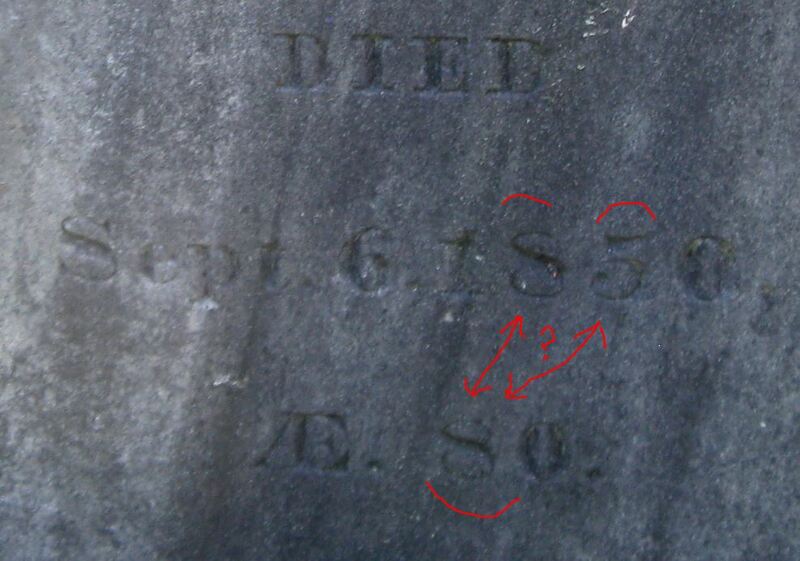 If you were transcribing this particular headstone, what would you be entering into your iPad? Note any defects or wear that could make this difficult to read. Pay particular attention to the age and year Otis was laid to rest. Just in case it’s hard to see on that photo… And I even underlined the numbers in dispute here! Now, does that look like 1851 to you? And was Otis 53; or 83, as was originally surmised? Does the first number of Lydia’s age below look more like the “8” or the “5” in 1850? Phew! It’s NOT me after all! This is such a great example of just plain BAD transcription. I’m sorry, but there is NO excuse for those numbers to be so… WRONG!!! Of course, we don’t know where the dates and ages got so screwed up. 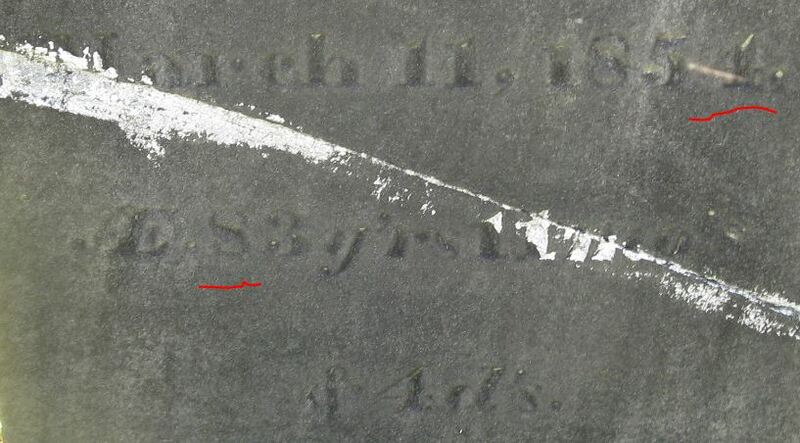 Most gravestone transcriptions were originally written down in a notepad (some much better than others); how did they get from there to the listing that was placed online? Was it a rush-job for the transcriber(s)? If that was the case, why even bother?? Or maybe they were three typos on two lines. Then fire the person that edited it! It really doesn’t matter why these cemetery transcriptions are useless for anyone; it only matters that they ARE. Heck, if I can’t believe two lines, what weight am I going to give to the rest of the Kilton transcriptions on that list? Do I shrug it off as “Aw, they’re probably the only three errors in that entire list of over 1,000 individuals.”? Or do I hit the brakes and take any entry on there with a grain of salt? 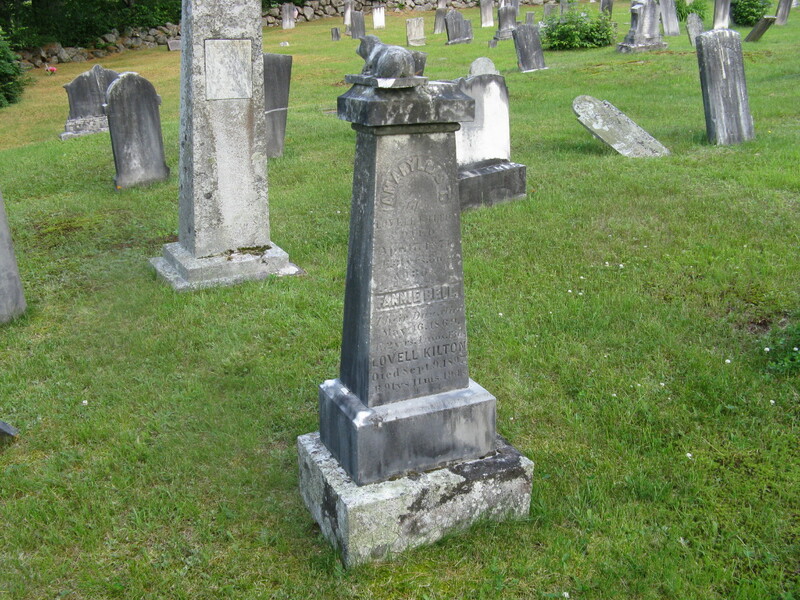 Oh, and this was on top of one of the Kilton children’s headstone. Creee-py. 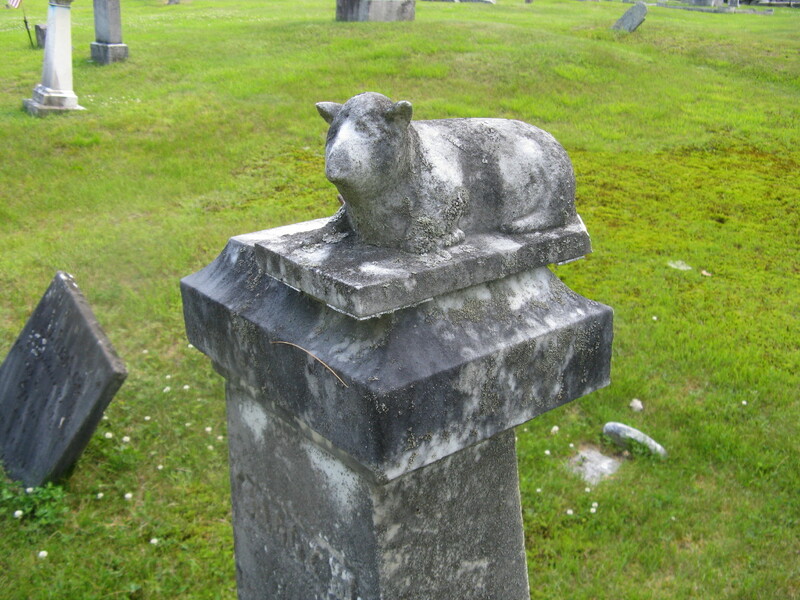 The entire middle piece for this stone was gone and the lamb is sort of just placed there. I’m thinking it used to be at the top of the missing piece. Hate to see that, BUT the lamb is still there! As it turns out, this cemetery transcription was a project for the local Boy Scouts. (Genealogy Badge??) While their intentions were noble, “boys” would not be my first choice for transcribing tombstones. And these two Kiltons were the EASIER ones to read! Some of those early slate stones were extremely weathered and worn. I wonder if those even made it to their project. No way a slam on the Boy Scouts; only bad transcribers! And watch out for those research landmines! !